…is getting all the ducks in a row. The early recording business proved no different. Emile Berliner decided to set up his European disc pressing factory in Germany rather than England in 1898. In doing so he created the German Gramophone Company – aka Deutsche Grammophon (DG). Berliner’s European operations were therefore split in two. 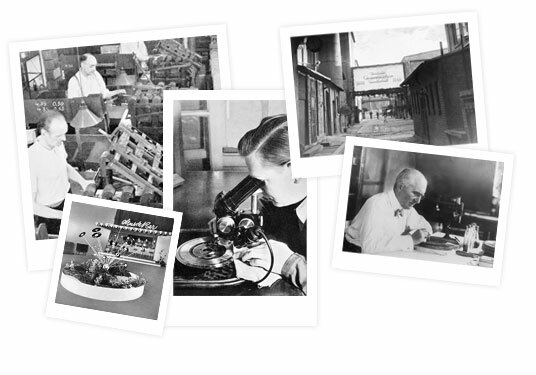 DG was to manufacture the discs in Hanover. The Gramophone Company (of England)‘s role was to find the artists, make the recordings and sell the resultant discs. Whilst Fred Gaisberg set up the Maiden Lane recording studio in Covent Garden, London, his old friend from America, Joe Sanders, was establishing the disc factory in Hanover. Fred’s task was perhaps the simpler of the two and he quickly set up the studio and created a backlog of recordings that needed pressing as discs. 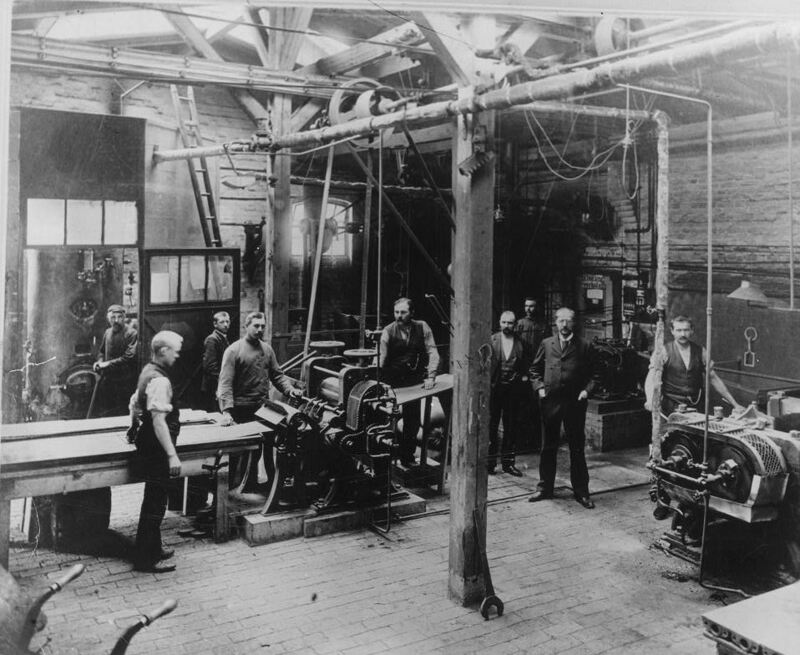 Sanders struggled to provide a manufacturing solution as quickly. He was dependent upon the pressing machines being first made and then delivered from America. They proved slow in arriving. In the meantime the company sold the 150,000 records that they had imported from the States. These were quickly running out. The gramophone was already proving a huge success in Europe. Generating sales was not turning out to be the problem for the new business, but they were finding it difficult to make enough discs to meet the new demand. Alfred Clark who ultimately became Managing Director remembers the early days of the business in a later article for Gramophone Magazine (here) and recalls that “from its earliest days the company made large profits”. 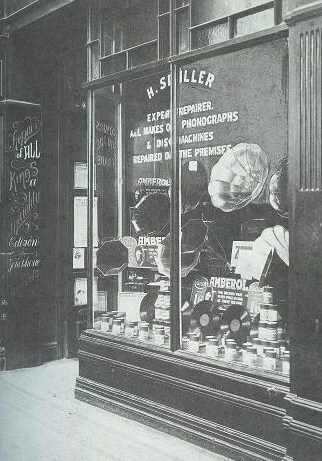 By Xmas of its first year of business The Gramophone company had established a distribution network of more than 600 shops selling gramophones and discs, including the oldest record shop in the world; Spillers Records of Cardiff. This entry was posted in 1898, HISTORY OF RECORDED MUSIC and tagged 1898, alfred clark, cardiff, deutsche gramophone company, emile berliner, fred gaisberg, germany, gramophone magazine, hanover, joe sanders, maiden lane, spillers records, the gramophone company by Nipper. Bookmark the permalink.